UNIQUE ART RETREATS! We offer an experience, not just an art classes! 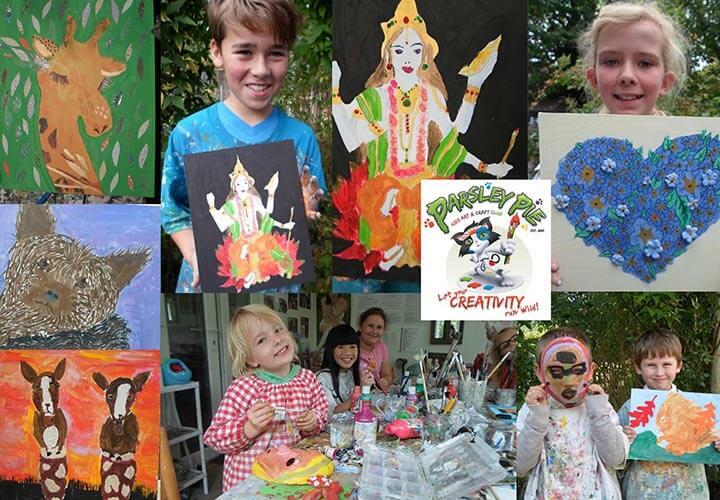 and we provide fabulous fully equipped professional art studios! RELAX & CHILL OUT! Let your creativity run wild!! You choose what you want to do! Freedom of expression! MESS! Make loads with out getting into trouble! HELP & SPACE! Get help & plenty of individual attention from a fully trained, super talented and experienced teacher! Also get the time & space you need, be left more to your own devices! HAPPY! A fun, positive & relaxed atmosphere, small friendly groups! NON COMPETITIVE ENVIRONMENT! All ages & abilities welcome, work at your own pace in your own way, no pressure, no right or wrong! GET YOUR MASTERPIECES OUT THERE! Participate in art club exhibition opportunities! Plus see your amazing art work on our social media pages pages! The whole world will see just how awesome & amazing your artistic creations are! PARSLEY PIE HAS AN EXCELLENT REPUTATION! Established in 2001, we we are a long established trustworthy business with an excellent reputation! We come highly recommended and we our exceedingly proud of our longevity and expertise! SMALL CLASS SIZES Children get as much or as little individual guidance & structure as they want. They get the help they need but the space to freely be themselves & think independently! MESS Not for you! Your home stays clean & mess free!! 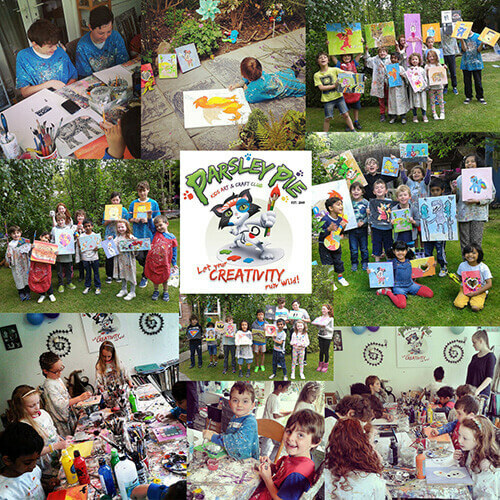 ART & LIFE SKILLS Alongside improving their creative skills, children will learn important life skills at Parsley Pie too. We also aim to boost confidence and initiative by giving children control over the choices they make and encouraging their individuality and ability to work things out for themselves! FREEDOM Children are free to start at any point during the school term, plus they won’t miss anything, as all the children work on their own individual projects at their own pace! 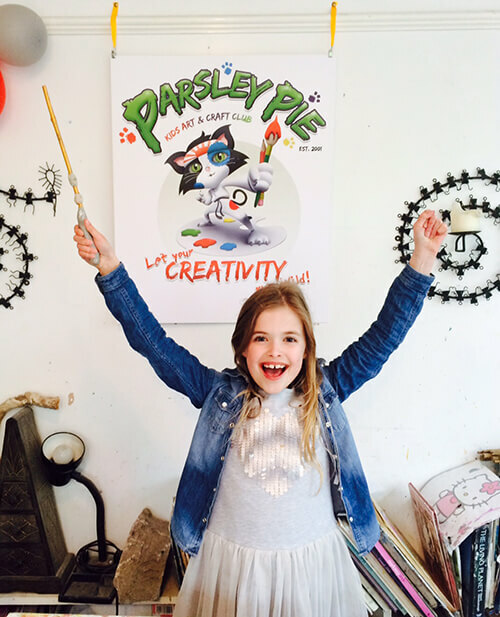 FLEXIBILITY Parsley Pie Art Clubs are free to join! Plus there are flexible payment options & discounts available. Children can come every week or for one off visits are allowed, Last minute bookings taken too! ADAPTABILITY We work all year round at both public & private events! We can also travel out to a venue of your choice to host classes, parties & workshops!